The short CNN segment reports on a device offered by Alternative Ballistics. 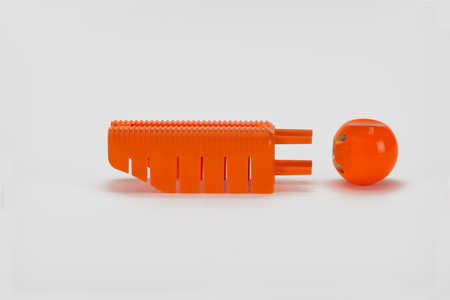 It consists of a mounting bracket that fits over a handgun, and a ball which sits in front of the muzzle. The idea is that a bullet will clear the barrel, only to slam into the base of the ball. This causes the ball to fly downrange, striking a violent criminal with less lethal force. 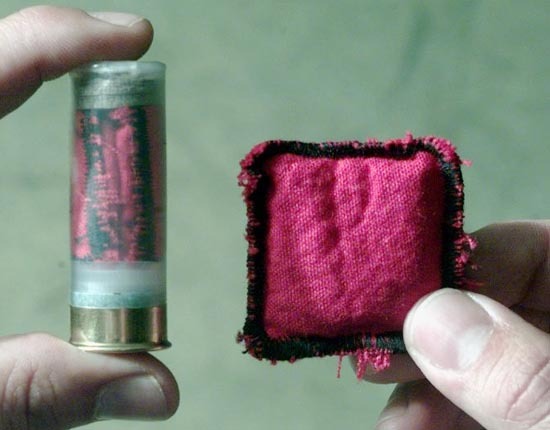 It reminds me of bean bag rounds used in shotguns. Increase the surface area of the projectile to try and prevent penetration, and hope that it still has enough energy to discourage the bad guys when it strikes the target. 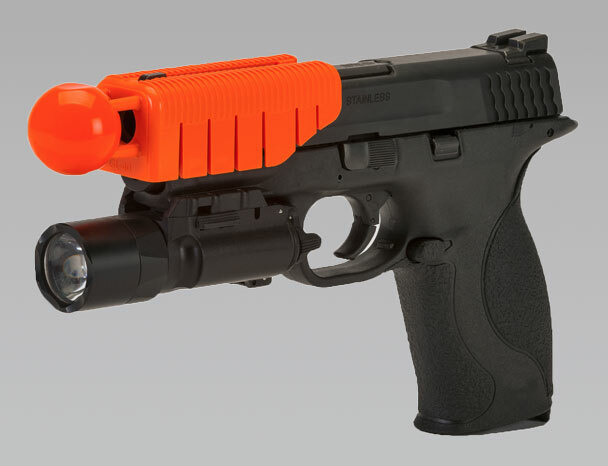 So we have a new way to turn a handgun into a less-lethal impact weapon. Would it work? Yeah, probably. Don’t see any reason why it wouldn’t, although I would be worried that it would interfere with the slide and cause the gun to jam. 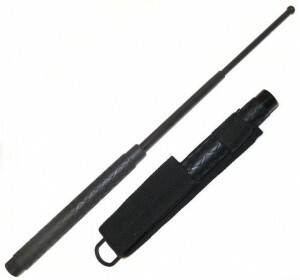 Police officers have, since time immemorial, carried truncheons or batons to enable them to subdue violent suspects. The batons now are typically of the expanding variety, which allows an impact weapon of decent length to be compactly stored on the belt. When liquid tear gas was first widely used in the early 1980’s, it was hailed as a humanitarian breakthrough. Now suspects could hopefully be subdued at a distance without actual physical contact, reducing the chances of broken bones and pulped organs. 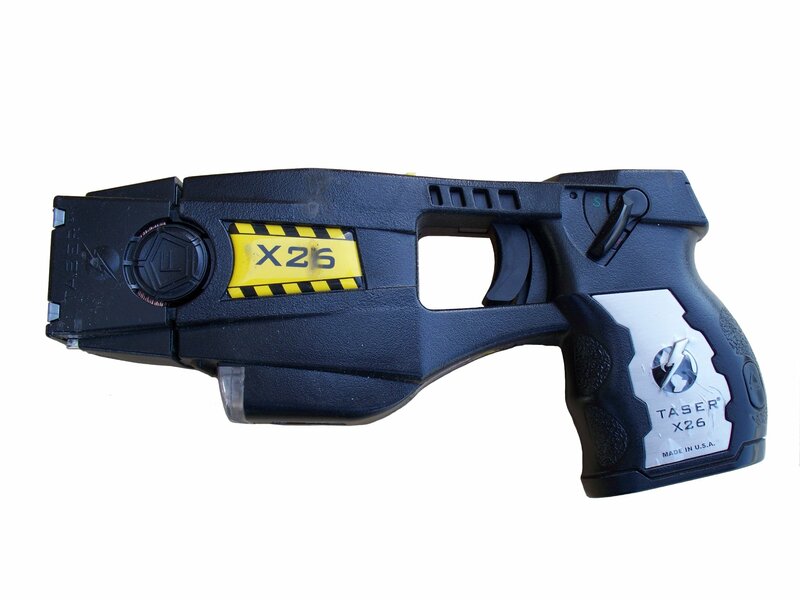 When electroshock devices such as tasers started to be issued in great numbers in the 2000’s, it was hailed as yet another breakthrough. Now violent people could be brought down without the use of irritating chemical sprays, which meant they wouldn’t have to sit in discomfort for an hour or two after being taken into custody with burning eyes and drooling noses. And now we have yet another device to take up room on the utility belt. The good people at Alternative Ballistics claim that their device won’t add to the clutter. 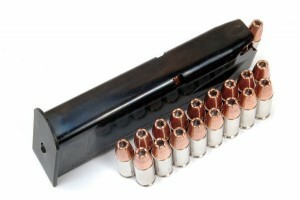 It will fit in a standard magazine pouch, replacing one of the reloads that are currently being carried. So they say the police should trade in 17 rounds they can shoot at the bad guys for a single shot that has significantly reduced range than standard ammunition. Does anyone besides the guys trying to sell the product think that is a good idea? Keep in mind that my opinion is that the device would probably perform as intended. I also think, however, it is a waste of money that won’t go anywhere. 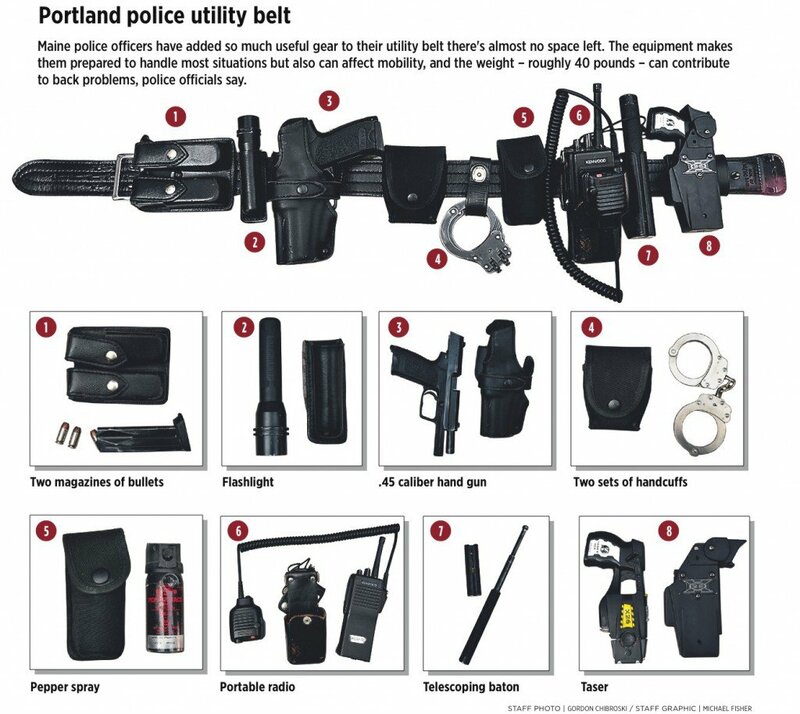 The simple and obvious truth is that less-lethal devices cannot be solely relied upon to stop a violent criminal attack, and police officers nowadays have multiple options to choose from if circumstances justify leaving their gun in the holster. An ever growing arsenal of yet more devices and gimmicks to apply irritating chemicals, electrical shocks, and forceful impacts won’t change that any time soon. Having seen articles on this already I’m sure it works – and that it will get someone shot, if not killed. When you have time to carefully put the thing on, it seems to work fine. Now be in a tense situation, under heavy time pressure. Get the thing on without shooting yourself. 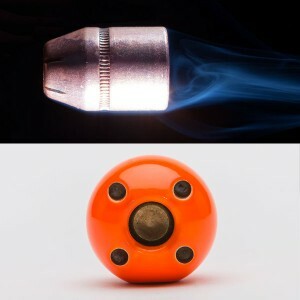 Shoot the *one* round that’s less lethal and then remember not to keep shooting when it misses or he doesn’t stop. Plus just the general bad idea of mixing your lethal and less lethal option. 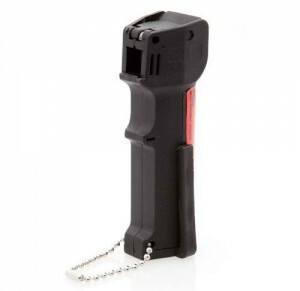 Notice how most officers carry their Taser opposite their weapon? The more you can do to make sure which one is in your hand, the better. Until someone invents the perfect ‘stunner’ people are going to have to accept that getting crosswise of the police carries a risk. I see that big orange front end and I think of the orange barrel ends of kids’ plastic guns and rifles. Then I think, can’t put that on and holster the pistol, so we’re in KCSteve territory. I’m thinking this thinking could get one put inside a box. It effectively turns an auto-loader into a single shot weapon. You have to reload that damned ball every time. No thanks!